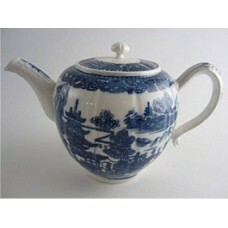 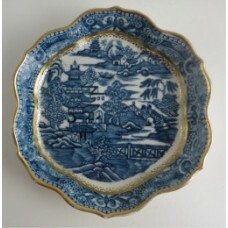 A beautiful Caughley teapot stand, decorated in underglaze blue with the 'Pagoda' pattern ..
A beautiful and decorative Caughley hexagonal shaped Teapot Stand, decorated in undergla..
A beautiful Caughley teapot stand, decorated in underglaze blue with the 'Pagoda' pattern and da..
A rare and charming Caughley spoon tray, made at the famous Caughley factory c1785. 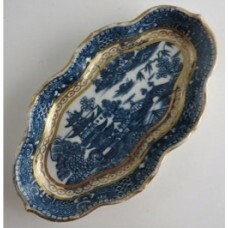 This delightful ..
A rare and charming Caughley spoon tray, made at the famous Caughley factory c1785. 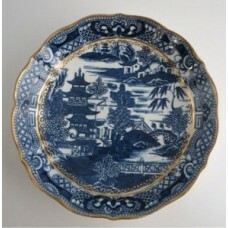 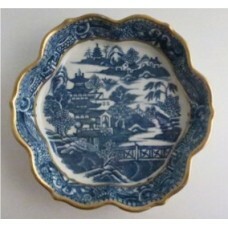 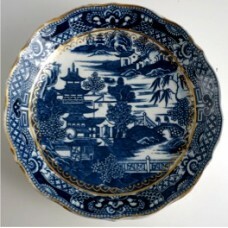 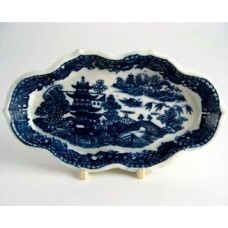 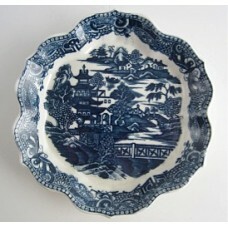 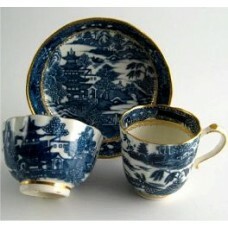 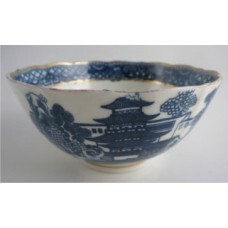 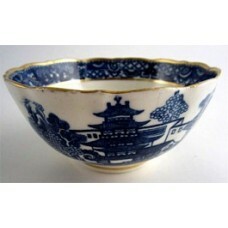 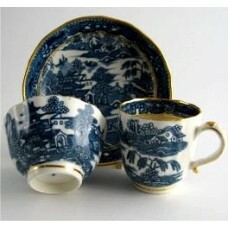 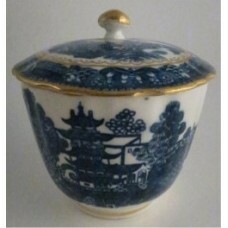 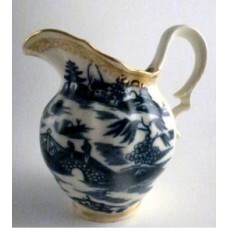 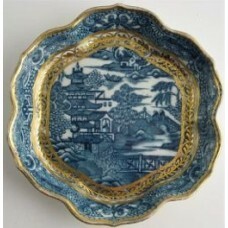 This delig..
A very pretty sucrier, printed with a delightful blue oriental scene of a pagoda in a charmin..
Caughley Scalloped Slops Bowl, Blue & White 'Pagoda' Landscape Pattern, c1785 ..
An attractive slops bowl, printed with a delightful blue oriental scene of a pagoda in a char..